A warm welcome to our new subscribers and well done Alexander, from Denmark! I wish you will find My English Club fun and instructive and I look forward to welcome you as a new valued member soon. Read, learn and communicate around the world! We are now starting to practice the lessons from our past e-zines. I'm going to prepare a separate page on this website for each concept, and include some exercises for you to practice with. The first page is Liking and disliking I hope you find it useful. Website Design ~ Using Form Build It! We talked about Blog It! last time, which is one way to deepen PREselling. Form Build It! (FBI!) is a powerful and flexible way to do more of this, by providing more Backup Response options. Forms are an easy way to communicate and interact with your visitors and customers. They take your PREselling efforts to the next relationship level. Whenever a visitor fills in a form, s/he is making a connection with you. We are taught in the SBI system to always use a contact form rather than an email link on our pages. If we do this, and avoid signing up for spammy services (a common trick to lure your address), we can avoid 99.9999% of all spam email, which we are also avoiding to do to others. •	registration and reservation forms. The tool is receipt-enabled, which is what you need if you are using the finder's fee/referral monetization model. Forms are great lead generators. A multi-mailing e-course, for example, is an excellent way to build a relationship with your visitors. You can either create new content for it or re-package what you already have on your site. You can divide your course into a certain number of instalments and send out one per day. Visitors receive repeated exposure to your valuable and relevant information and this, in turn, warms them up to the idea of visiting and revisiting your site. Note: FBI! is not for collecting email addresses for an e-zine or newsletter. Whether you want to generate a new income stream, conduct a survey, create a series of sequential autoresponder messages, or simply collect feedback from your visitors, FBI! has an important role to play and it is easy to use. 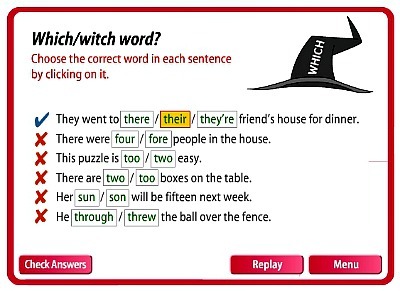 Now, I found an interesting game for you, on the same British Council website - Learn English, which we enjoyed before. 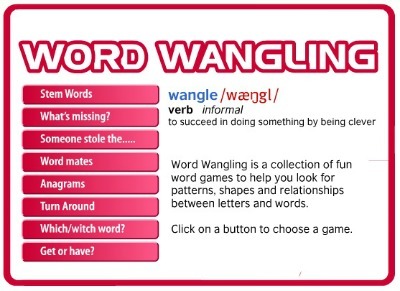 This time it's Word Wangling which is a collection of 8 games to help with your vocabulary. 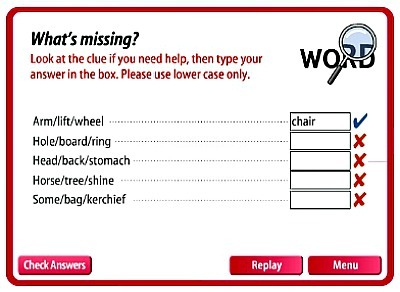 We shall look at each one of them here and I'll show you how to solve the puzzles, by using up the first question in each. Then you will have to finish the rest of them yourselves. So let's start with the stem words. A 'stem' is a part of a word, as a general definition, but a 'stem' is also the part of a plant that sustains the flower. Oops - I've done the last one in this game, but nevermind... So, a floor covering starting with 'car' and containing the letters t, e, and p at the end... that would be 'carpet', right? OK, you've got the idea, I suppose. So, what is 'f _ m _ _ s'? Of course! Now you have 6 more to do! 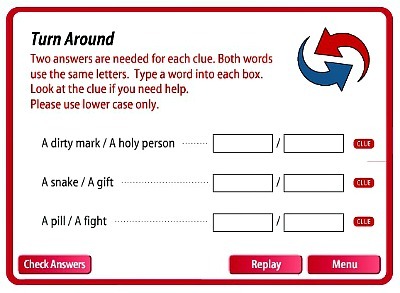 The next game is about word mates. Now, 'mates' means friends, so you can have the words 'classmates', meaning colleagues and you can also introduce somebody as "This is my mate, Freddy." for example. 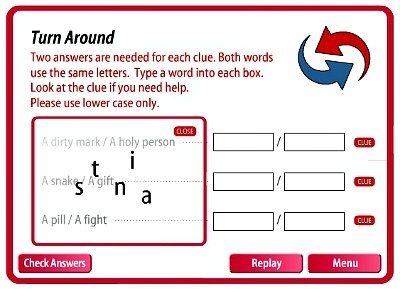 In our game we have two words that link together, to make a new word altogether. 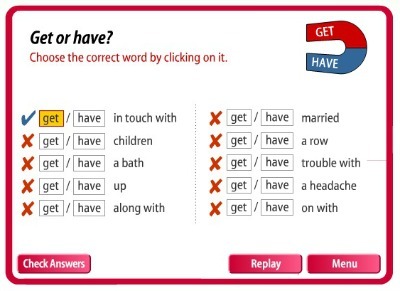 For example we linked 'ear' with 'lobe', which was in the middle in the row with word choices. 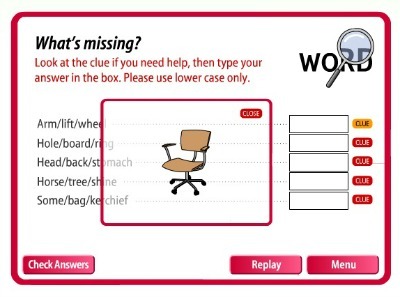 This game doesn't allow you to check your words for accuracy - it just won't allow an incorrect combination of words to be formed. You do the rest of them now. 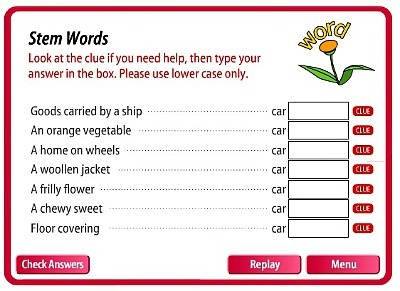 What could it be - a word of 8 letters, the last one 's' and the rest of them given above? Right - a waitress. That only leaves you with a couple of words to do. Here you have to find the word for the first definition, to put into the first box on the right. 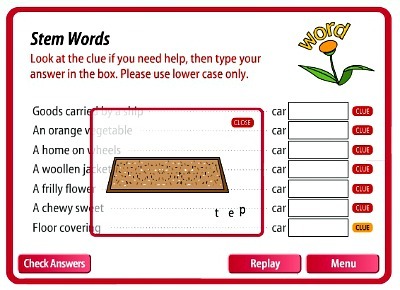 Then you will change the order of the letters in that word, to give you the word for the second definition, for you to fill in the second box on the right. 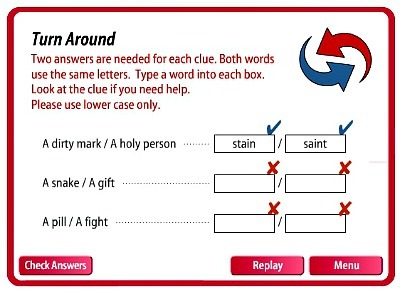 The next game is a choice of the correct word out of a few that sound similar, but mean different things - remember the 'homophones'? So, which/witch one will it be for the first sentence? I hope you know what a witch is - if you don't, look it up! Right, now it's up to you to do the rest of them & I hope you enjoy getting the blue ticks in turn. OK, once you played all of these, you will realize the kind of exercises they are. 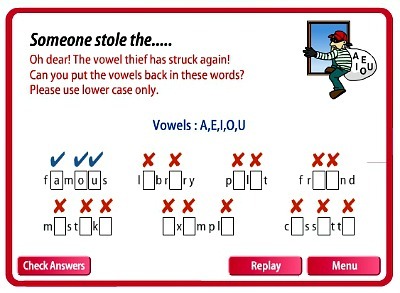 These will appear in language development tests from the beginner level, up to the intermediate and even advanced, so it is actually useful to know how to play them and indeed, to know the words correctly for whenever you need them in tests, exams or mere conversations. Everybody, have a great summer holiday and a good week ahead, those who need to keep working for now!